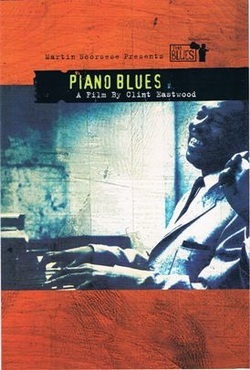 Directed by Clint Eastwood Produced by Clint Eastwood and Bruce Ricker...... Eastwood Director — and piano player — Clint Eastwood (Play Misty for Me, Bird, Unforgiven) explores his life-long passion for piano blues, using a treasure trove of rare historical footage in addition to interviews and performances by such living legends as Pinetop Perkins and Jay McShann, as well as Dave Brubeck and Marcia Ball. Says Eastwood: "The blues has always been part of my musical life and the piano has a special place, beginning when my mother brought home all of Fats Waller's records. Also, the music has always played a part in my movies. A piano blues documentary gives me a chance to make a film that is more directly connected to the subject of the music than the features that I have been doing throughout my career." Performances in Piano Blues Marcia Ball Dave Brubeck Ray Charles Jay McShann Pinetop Perkins and many more!